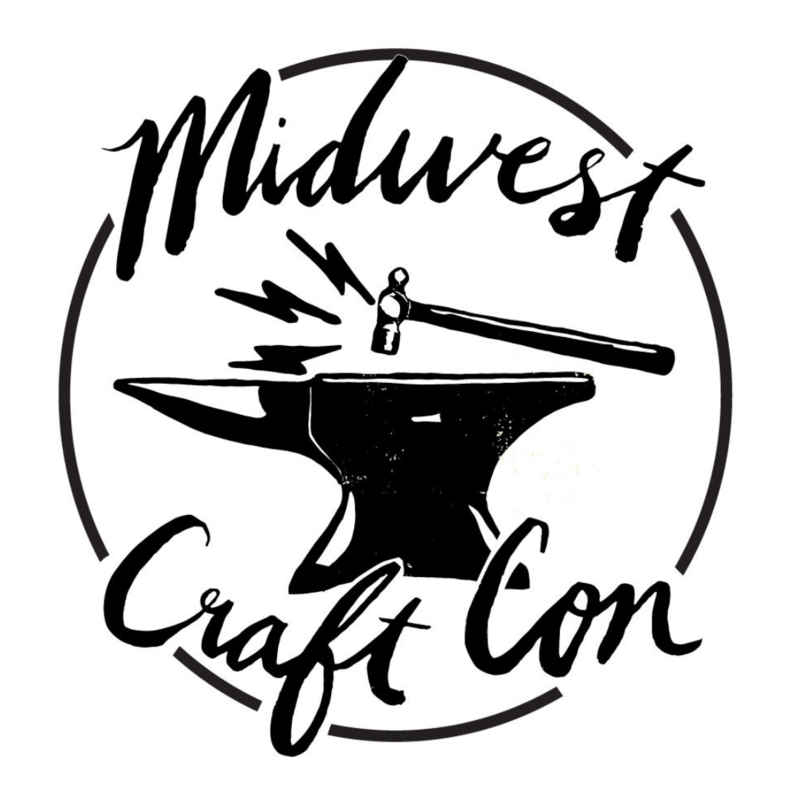 When we decided to move Midwest Craft Con up north of Columbus, Ohio, to the Embassy Suites Dublin for 2018, we reached out to the Dublin Arts Council to introduce ourselves and let them know we would be bringing the glitter to their quaint and historical community. Dublin is home to a number of large-scale permanent public artworks, from a statue celebrating the life of Native American Chief Leatherlips to a field of more than 100 human-sized concrete ears of corn. Alexa Demyan tells us: “Dublin, Ohio, is the perfect location for the next Midwest Craft Con. With a variety of stores, shops, and places to visit, any crafter is sure to love this city.” Thanks to her and the Dublin Arts Council for this crafty city guide! Will we see you in Dublin in February? Tickets for the full weekend and for single days are on sale now! You can explore Columbus, Ohio, on Thursday night and Friday morning before the Con starts on one of our crafty caravans. Catering to both novice and experienced jewelry makers, this store sells beads, stones and tools of all shapes and sizes. There are more than 90 classes offered per quarter in addition to one-on-one instructional sessions, so whether you’re a beginner or experienced jewelry maker, you’ll find materials to inspire you. This home décor store features a distinct mix of trendy items, unique vintage pieces and works by local artists. Mother and daughter owners Christena and Tena Wentz are home décor enthusiasts who are dedicated to finding fun, unique and beautiful items perfect to inspire your home. You know this one for sure: JoAnn Fabrics and Crafts has supplies for all your arts and crafts needs, plus in-store and online classes. In addition to their vast selection of products, the company has a corporate giving policy in which they partner with certain organizations to help raise money. This all-things-knitting store has all your knitting needs covered, with yarns made from alpaca, buffalo, silk, acrylic, linen and even paper fibers. Knitting Temptations also hosts various classes for every skill level throughout the week. If you’ve run out of your favorite yarn after leaving Dublin, you can reorder direct from their website. This specialty quilting supply store sells fabric, sewing machines and other crafty tools in an assortment of patterns, materials and textures. Quilt Beginnings also hosts group classes and walk-in instructional sessions with experienced quilters. Featuring Gammill Statler Stitcher quilting machines, pre-cut material and charm packs, the shop also features artisan jewelry, lampwork beads, onsite classes and more. Finished quilts and interesting completed projects adorn the store’s quirky antique displays, so stop in for some creative inspiration. The craft department in Tuesday Morning is full of some of crafting’s best brands, including Louisa Harding, Aslan Trends, and Fiesta. You can find high-quality craft supplies including craft tools, paper crafts and scrapbooking kits from brands such as Graphic 45, Loew Cornell, and Melody Ross. This locally owned restaurant and beer kitchen was opened in 2012 and strives to educate the community about beer and cuisine. Their extensive craft beer list features seasonal beers from all over the world. Be sure to pair a beer with some handcrafted, rustic cuisine for a delicious flavor combination. This Irish pub in the heart of Historic Dublin is the perfect place to enjoy authentic Irish food and beer. The restaurant got its name and is inspired by The Brazenhead, the oldest pub in Dublin, Ireland. Stop in to share stories with friends and enjoy live music on the weekends. This restaurant’s handcrafted cuisine offers delectable dishes for every palate. In addition to their daily food and happy hour specials, The Goat also hosts live entertainment and other events. The restaurant even hosts volleyball competitions during the spring and summer months. This restaurant with an upscale tavern atmosphere was started in Dublin, Ohio. With several beers on tap and an extensive menu featuring flatbreads, burgers and more, this is the perfect spot for a delicious dinner or Sunday brunch for the whole family. In addition to their gourmet burgers, The Pint Room has more than 100 different craft beers available to pair with your meal, some of which are locally brewed, while others are from around the world. If you’re not looking for a full meal, their Bar Bites menu also offers smaller appetizers. What makes RAM Restaurant and Brewery unique is its variety of cuisine: Every location’s menu is different. Its seasonal, local food options include sandwiches, salads, burgers and more. The Dublin location is in close proximity to the beautiful Scioto River, so be sure to explore the area after your meal. Home of the “Create your own Cupcake Bar,” our CupCakery is always busy baking cakes, cupcakes, cookies and other desserts for all occasions. Locally owned and operated by award-winning small business owner Linda Kick, the shop also offers gluten-free treats. This local arts organization “engages the community, cultivates creativity, and fosters life-long learning through the arts.” The site features a historic French-eclectic styled building, sloping riverfront grounds with picnic tables, several piece of public art and a well-established gallery that is free to the public. Don’t miss out on the self-guided public art tour. This contemporary paint-your-own pottery studio is located in Dublin Village Center. With more than 150 ceramic pieces and 80 glazes to choose from, you can make a custom creation with stamps, stencils and more. Your piece will be ready for pickup in one week after being fired in the kiln. This studio specializes in creative painting parties. The impressive gallery also offers custom framing and the option to rent the space for a private party. Check out their event calendar for more information regarding private and public painting parties, art lessons and birthday parties. We can’t wait to get crafty with you in Dublin, Ohio, from Feb. 16 to 18, 2018! Next Pre-order your Gemma Correll Never Craft Alone T-shirt!